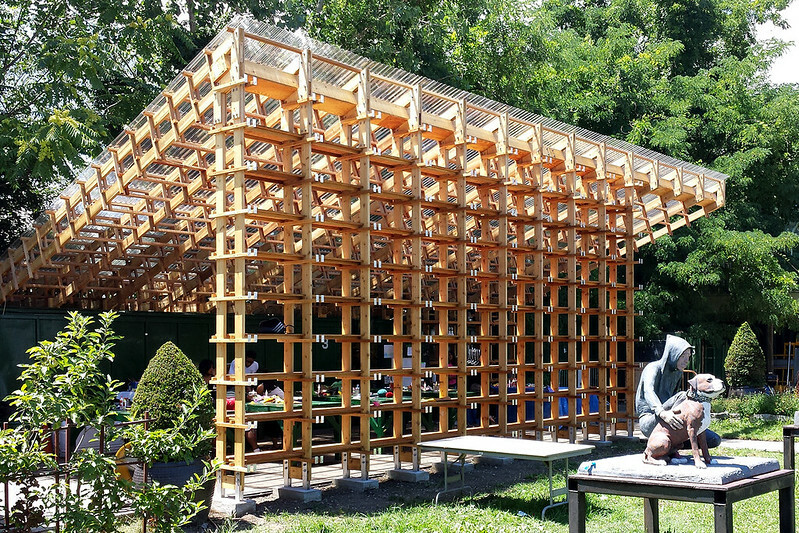 At lunch today I rode my bike over to Socrates Sculpture Park to check out Sticks, the 2016 Architectural League Folly. 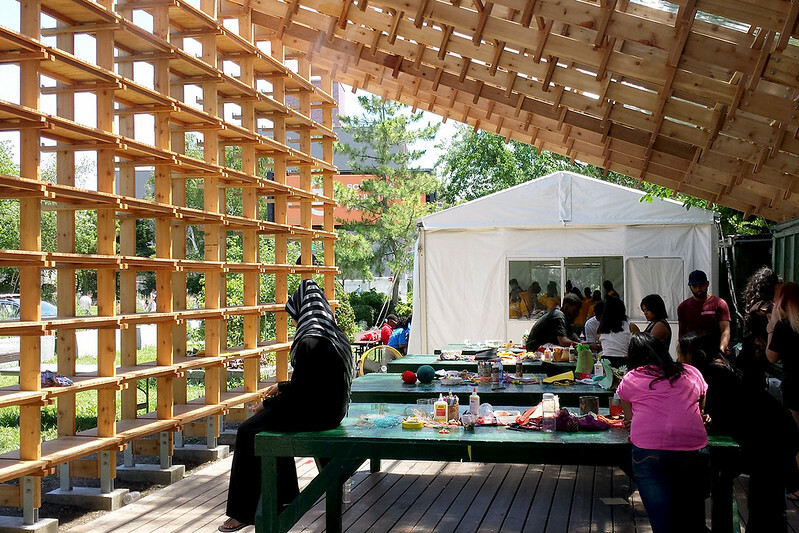 Designed by Hou de Sousa in a competition earlier this year, the folly departs from previous ones, such as 2014's SuralArk, in that it is functional: it is the venue for Socrates Sculpture Park’s Education Studio, which reportedly hosts over 10,000 students annually. According to the League, "Sticks utilizes preexisting park resources, including scrap materials stored on site, which will be incorporated into the structural grid of the walls and roof. 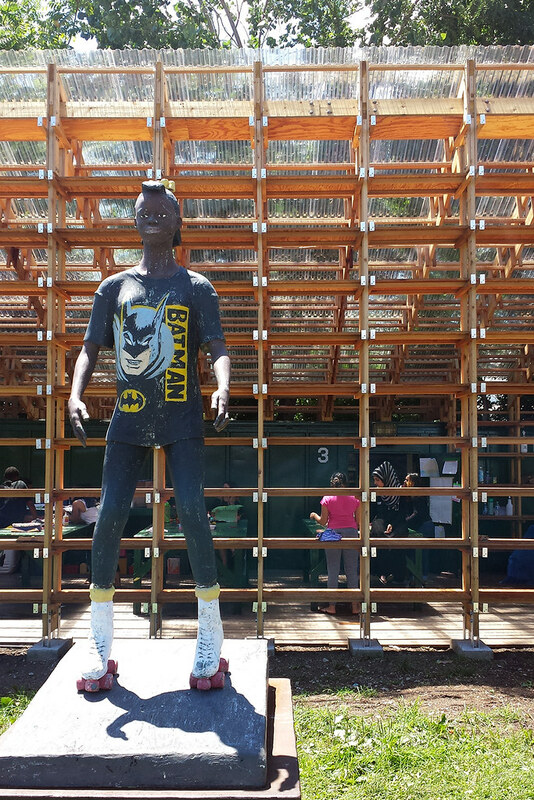 The architects re-use existing resources to build Sticks is central to the sustainable mission of Socrates Sculpture Park." 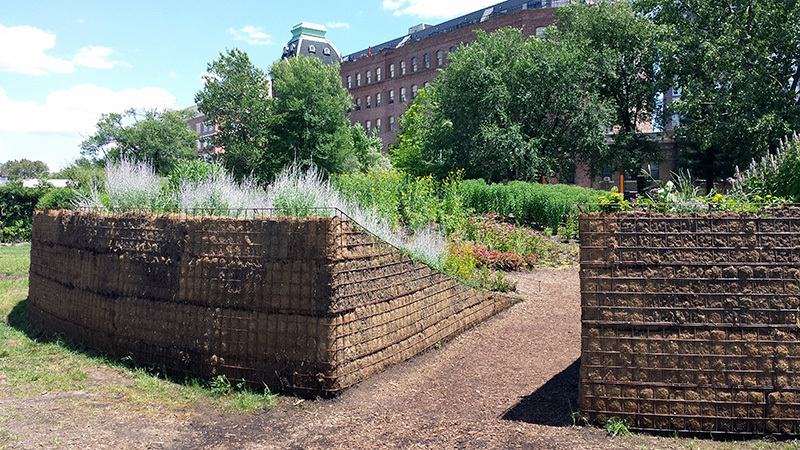 If you go visit Sticks, be sure to also check out Meg Webster's Concave Room for Bees, on display as part of Socrates Sculpture Park's 30th anniversary LANDMARK exhibition.